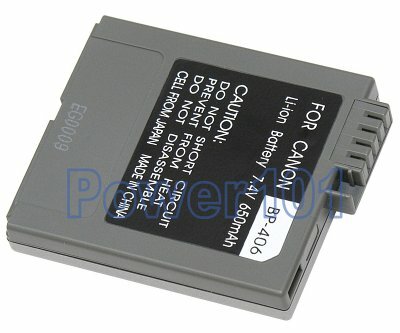 This battery is compatible with Canon Elura 2 10 20, MV3 MV4, MVX10, Optura 300, 300MC. Please check your camcorder with our camcorder battery finder. We recommend the mid-size battery as it should be rated for about 4 hours of filming which is usually what average events go for. The mid-size battery does not stick out too much from the camcorder so it still looks fine. The largest battery usually sticks out too much. In this case, the mid-size battery is BP-412, please check it out. 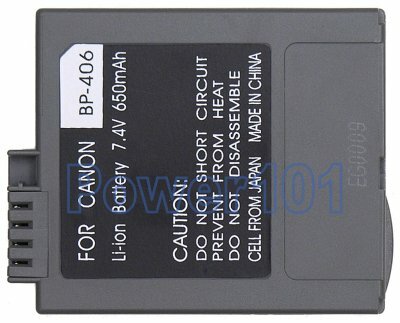 This battery can be charged with any charger compatible with Canon BP-406 batteries or directly on the camcorder.